The Grand Beguinage of Leuven forms a small restored old quarter in the City of Leuven. The Grand Beguinage of Leuven now houses students and academic staff . 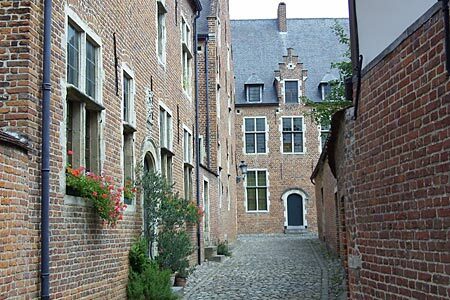 The Grand Beguinage of Leuven originated around the beginning of the 13th century. Up to around 300 beguines stayed at the beguinage at times. The last beguine died in 1988. Beguins (begijnen) took temporary vows of chastity and obedience.They were able to have private property and an income. 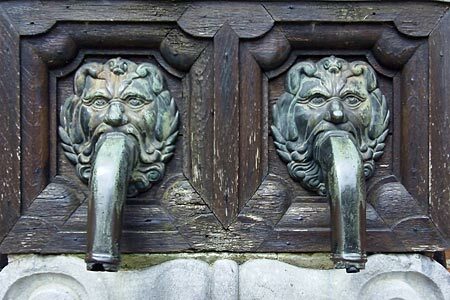 More prosperous beguines had a private residence, while poorer beguines lived together in community houses. They were also provided for by donations made to the beguinage, while generating income themselves by teaching, providing health care, and by manual labour like embroidery, sewing, washing, spinning etc. The Grand Béguinage of Leuven now is a well preserved and restored historical quarter containing about a dozen streets in downtown Leuven. The béguinage stretches on both sides of the river Dijle, which splits into two canals inside the béguinage, with three bridges connecting the parts of the beguinage. The béguinage is now owned by the University and houses students and academic staff.